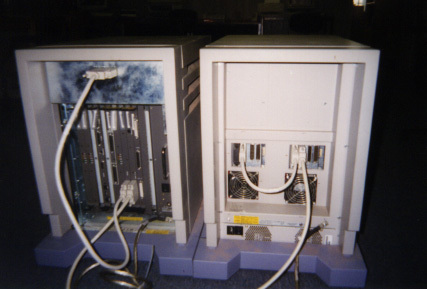 In August of 1998 I went to visit a local internet provider, to have a look at thier computer set up. While there, I discovered a couple of big machines being used at table legs, and another just sitting out in the open. I asked what could I do to acquire these - they told me all I had to do was to buy them a table, and I could have both machines! So I did - and they also gave me an extra machine that they found in the elevator... 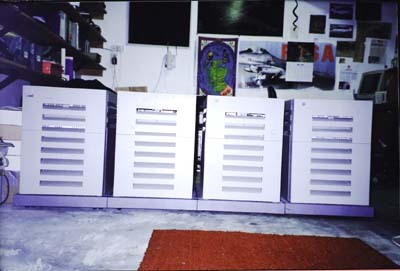 Which brings my count to three whole machines, of six cabinets - two Sun 4/260 servers and a Sun 4/470 server. 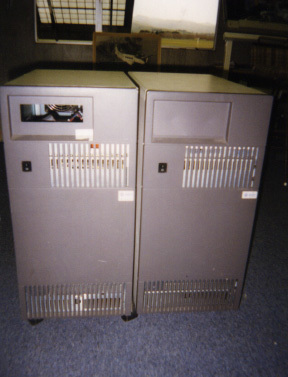 During April 2000 I visited a Wellington company called Eagle Technology Group, and prised from them a scrap (But working) 4/470 for 4 dozen beer. This now brings my total to 4. 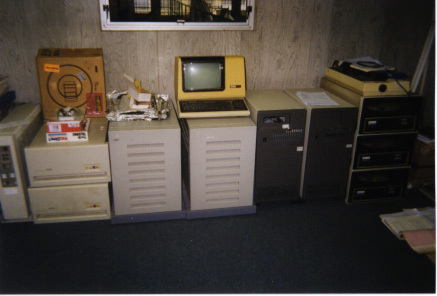 Notes: First SPARC machine. Code-named "Sunrise". Cache much like Sun-3/2xx, uses same memory boards. Currently I have one of my two 4/260s booting, the second machine has had two rather large chips removed from it totally (One is an FPU, not sure about the other). My current predicament is that I can't get the machine booting off its SMD drives. Notes: Write-back rather than write-through cache 3-level rather than 2-level Sun-style MMU. 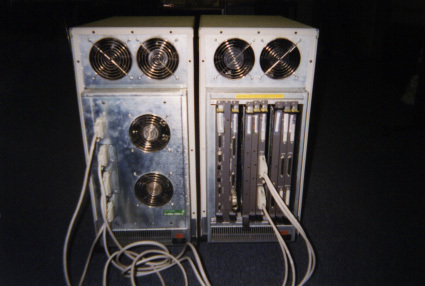 Code-name "Sunray" (which was also the code name for the 7C601 CPU). 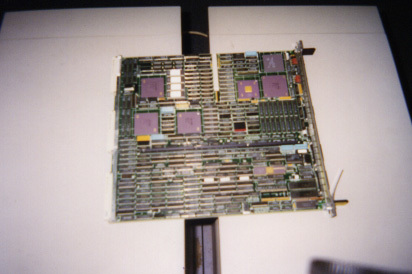 The original CPU board in the first 4/470 was definately on its way out when I first started booting it up. I bought another CPU card in the US in Feburary of '99, and now the machine works top-notch. 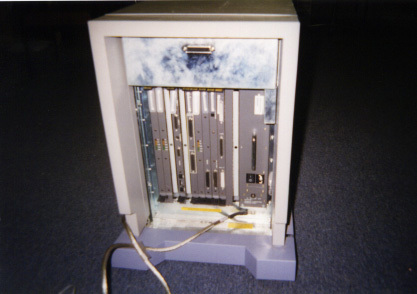 (Well, okay, if you don't boot it at least once a week, you get a BAD TRAP error, but hey, its an oldish machine). 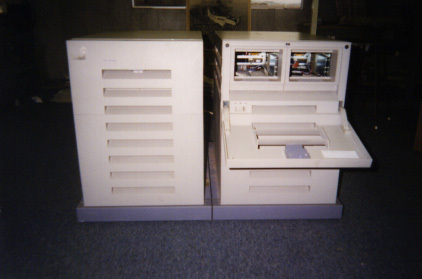 The second machine is accessable and works! I've put the two machines together to make one, with 128 Megs of RAM. 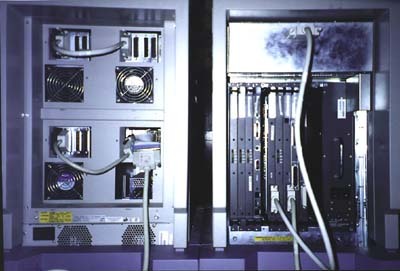 Both machines are running a custom modified version of SunOS 3.1.4_GENERIC.